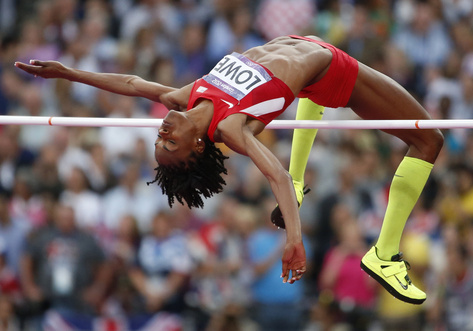 Raise the bar. Lower the bar. Clear the bar. A never-ending K-12 push is to raise the literacy bar each year to ensure children’s success in college and career. The “bar” is the metaphor that educators use when discussing grade-level standards expectations. 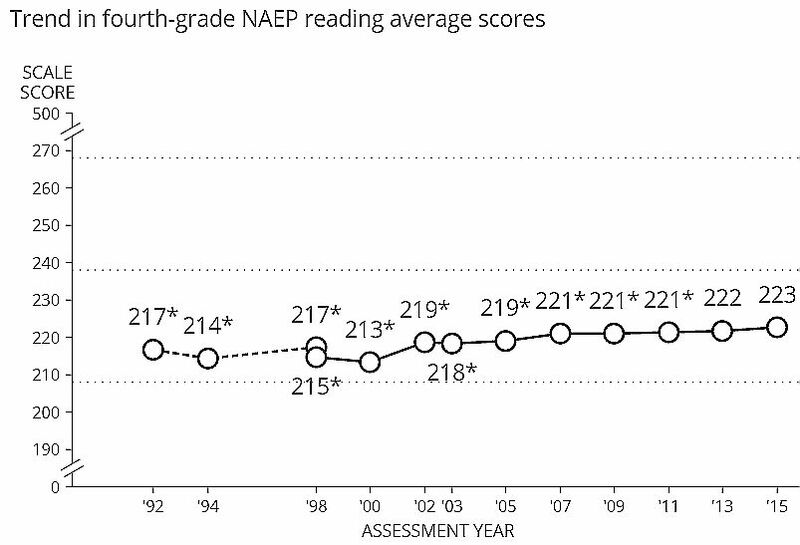 It’s a long scale from low literate to above proficient reading and writing. The 3rd-grade bar determines whether a child’s reading and writing performance is at “grade level.” Research indicates that if children get over the 3rd-grade bar, their success throughout school and into college and/or career is much more likely. That’s nice…and about as far as it goes. Here’s a question: Why are we so interested in predicting career and college success, but not in children’s personal development as avid lifelong readers and learners? Unlike the far future goals about college and career, that’s a universal, irreplaceable ingredient in a good education, ensuring a firm foundation for pursuing success of any kind. 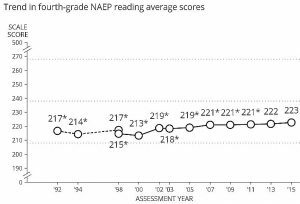 For 25 years we’ve been working to get kids to grade level and the graph of our progress is as flat as a primary-grade BIG book. So I suggest there are some things that may be much more impactful in ensuring “success” than a constant focus on proficiency instruction. And to get there, we need a bar fight. If we were truly interested in fully educating children, wouldn’t we want them to become active and eager learners throughout K-12 schooling and on into their lives? To be well-prepared to research and discuss topics of their own choosing? To investigate and communicate about issues that express their personal values and interests? We’re not doing that. How do I know? Because we are not measuring that. If we are interested in a comprehensive education, then we need some bar-free standards. Constants. Things we want for kids all the time, like consistent attitudes about school and learning that ensure progress. Without assessing and pursuing these attitudes, in my view, every child becoming fully literate is pretty much out of reach. Learner Relatedness. Are kids comfortably connected to and feeling cared for by their parents, teachers and peers? This is important because the lack of feeling secure can erode attention and effort. Learner Enthusiasm. Are girls and boys excited to learn and eager to try things that will support further growth? The easiest teaching anyone ever does is helping children learn what they want to learn. Learner Independence. Are children notably developing and maintaining a personal agenda for what they would like to take on next? Such instruction can keep youngsters fully engaged and energized. We all know some kids with these three attitudes in place. They are happy kids, eager to head to school in the morning, committed to working hard and doing well… not for a test, but for themselves. We also know kids without these attitudes. This is where we adults need to consider our own parenting and teaching bar regarding learner attitudes. While kids grow and mature, the bar based on these attitudes should never change. We need to work daily to keep every child above it. It’s a bar parents and teachers should fight for. Years and years ago there was a study on teacher expectations. Simple enough – the kids were given a test by a team of psychologists but then randomly assigned to high and low potential groups. In various formats the teachers were told these supposed outcomes. A year later the kids were assessed in their learning. All the kids in the supposedly higher achieving group had done better, and the converse, of course. Think what that tells us about over assessment, high stakes testing and something that I think the USA does but is unusual outside the US, called, I think, retention where kids are held back a grade if they don’t pass some supposed standard. Yes, yes, yes! We are in for the fight! Many thanks for your spot on posts. Thanks for the encouragement, Susan. At some point we have to bring our standards back in line with what our own science tells us about children at every age and stage. The kids have more at stake and more energy than we do. Those unique little individuals can better help their teachers understand what they need to joyfully grow and develop than a phalanx of professionals who don’t know those kids or their teachers. I am a retired professor of early childhood education who has been in the field for 50 years as a teacher in kindergarten and the primary grades as well as high school, as a preschool director, and as a teacher educator and Chair of our entire college education program. Yes, we have problems with expectations. These differences often come from our backgrounds and beliefs along with the inappropriate levels expected of have moved away from what we know about young children’s development and its variability, both across the board and within individual developmental domains. This must stop and we must “right” ourselves. This past spring, I was a supervisor of a kindergarten “clinical intern”, formerly known as a student teacher. The academic focus of the kindergarten was so inappropriate but it was not the fault of the classroom teacher who “knows” what should be happening in a kindergarten. The principal of the school has implemented a formal “reading” program which came with a ranking system based on how many words each kindergartener could read. Those who did not reach the level set for kindergarten were viewed as “slow”. Choice and play based learning activities related to the curriculum have all but disappeared or have been relegated to Friday afternoon for a 1/2 hour. The play is not intentional and not seen as part of “teaching”. WHAT CAN WE DO??? WE NEED TO TAKE BACK CONTROL OF THE FIELD AND STAND UP TO THOSE WHO ARE NOT EDUCATORS AND THINK THEY KNOW HOW TO TEACH CHILDREN. WE NEED TO DO SOMETHING TO ENSURE THAT WHAT IS HAPPENING IN THE CLASSROOM REPRESENTS BEST PRACTICES BASED ON THE ENORMOUS AMOUNT OF RESEARCH THAT IS OUT THERE. WE NEED TO GO BACK TO OUR ROOTS! Nora, your broad experience puts you in a strong position to lead this fight. Thanks for sharing your rich perspective in response to my little effort. Ever onward for the little ones. If you want a good measure, try measuring the behavior that you want to know about directly. Ask kids to read and see how well they do and how many errors, guesses, pauses and properly read words they achieve. Try it for 1 minute. Good readers will read 200 words. In the simplest form that is a direct measure of their ability to decode text, the first step in becoming a competent reader. Up to 50% of students cannot currently do this, so they are not overly eager to tackle new more complex challenges. To get to the goal, they have to touch each of the bases on the way around. We are and have been doing a very poor job of the simpler aspects of teaching reading for at least 5 decades. Tests will never provide the information you are asking for. Direct skill measurement and effective teaching and practice will. Your plea for better testing designed to give teachers something to get a handle on the needs of each child is a common one. The need for individual assessment has always been evident, but uninteresting to politicians and policy makers. The measures you describe would not be my choices, but our choices are immaterial. Teachers need to be empowered to choose assessments that fit their instruction and the support for time to administer, analyze and plan for each of their kids. In the meanwhile, we need to engage children in their own development. They are smarter about, more energetic and more vested in their own progress. Until we stop merely doing TO kids and supporting kids to do for themselves, universal avid readership will be a pipedream.